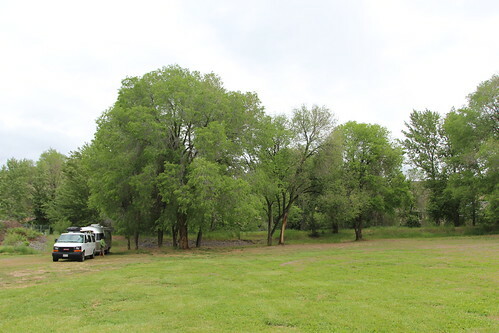 After leaving Goose Lake State Park we headed north to the small town of John Day, Oregon. It’s a pretty small town with less than 1,500 residents but it is just the type of place we were hoping to find. 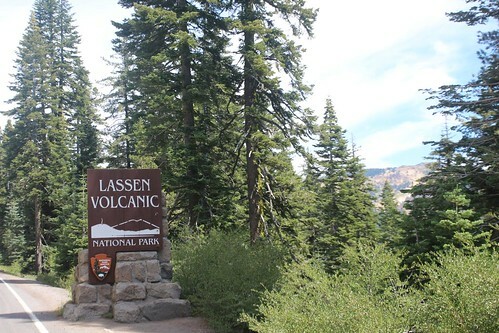 Day 5: Lassen Volcanic National Park. Last night we spent another night boondocking at Walmart. So far on this trip, we have not had hookups. At the speed that we are moving and the places we plan to be visiting, hookups do not look like they will be in our future. That is ok since so far we have sunny skies and mild weather. That will keep us boondocking for many nights to come. 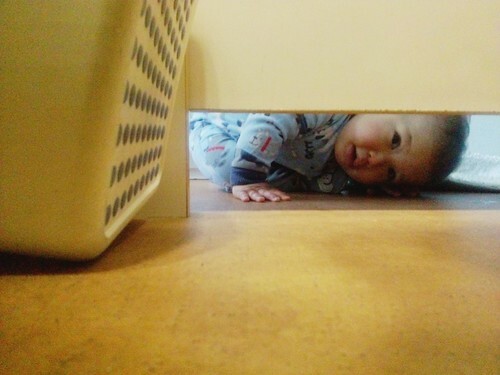 Day 4: Instagram and Facebook Headquarters. After a brief night in Campbell, we are ready to head north out of the bay area. We have never taken the Mish north of the Bay Area in California before so this will be virgin grounds for her. Before that happens, we are making a couple of stops along the way. 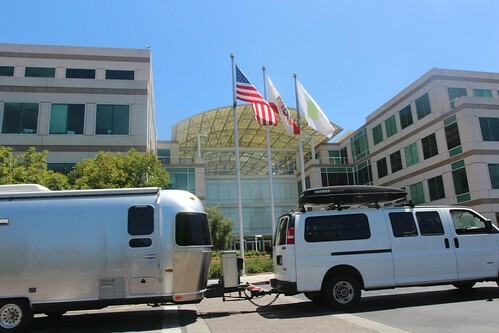 First stop, 1 Infinite Loop Cupertino, CA. The Eastern Sierras: Crowley Lake and Bodie Ghost Town. The next stop is going to be our last one in the eastern Sierras before the caravan officially disbands for us to all go our separate ways. We will continue to head north towards Mammoth Lakes to camp at Crowley Lake. 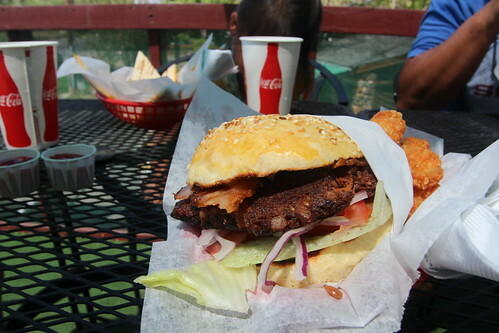 Before that happens, we are going to double down on the Burger Barn in Bishop before we leave because it is that good. Day 205: Vintage Trailer Show and a Homecoming. We packed up this morning and left Lake Cahuilla County Park knowing that it was our last night before getting back to see some family. But we still have a long day of activities before that happens. 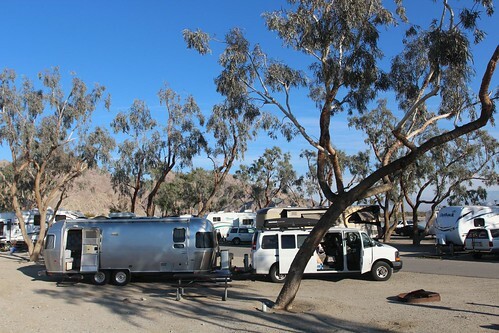 We are here in the Palm Springs area to relax but also to attend the annual Vintage Trailer Show at Modernism Week. Every time we are in Palm Springs, we have to go to Ace Hotel. Thanks to Marlene’s parents who spend a week each year at their Palm Springs timeshare, the girls have associated the city with swimming. Ace Hotel is the perfect place to go for that. Their pool is open to everyone, guest or not, with a small daily use fee. 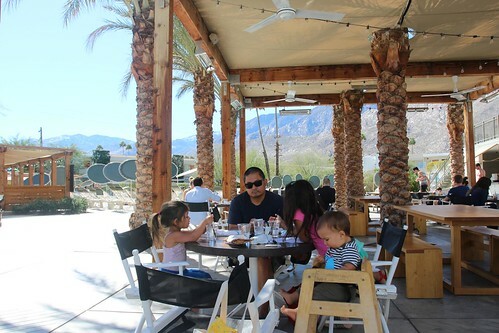 The spring is a perfect time to come here to Palm Springs. We didn’t actually think we would be here this soon but because of a firm work deadline, we are here. Actually it worked out pretty great because the Palm Springs Modernism Week is happening right now as well the Vintage Trailer Show this weekend. Day 201: Heading back to our home state of California. Last night we parked next to big rigs at the Flying J truck stop in Ehrenberg, Arizona. This is the same spot where we spent out first night as full timers back in 2010. 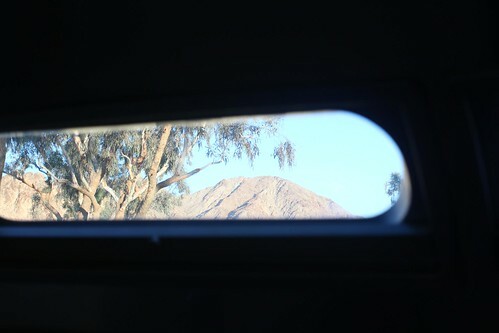 Day 200: The Living Desert Museum and Organ Stop Pizza. Today marks our 200th day on the road since we left Las Vegas. 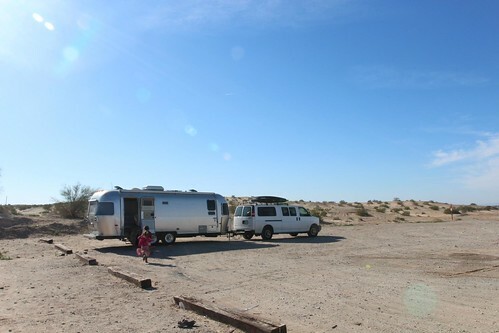 Technically we have been in the Airstream for much longer than that but the daily posts did not start for this trip until we departed from our 5-night hotel stay in sin city. We are getting very close to home and by the end of today, we will be even closer. Day 199: Hotel Congress, Mission San Xavier del Bac and more Airstream friends. 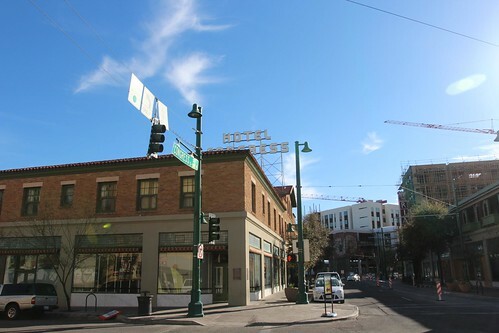 During one of our first visits to Tucson several years ago, we were introduced to the great Hotel Congress. Our friend Carrie use to live in Tucson and she acted as a tour guide and introduced us to lots of neat places in town. 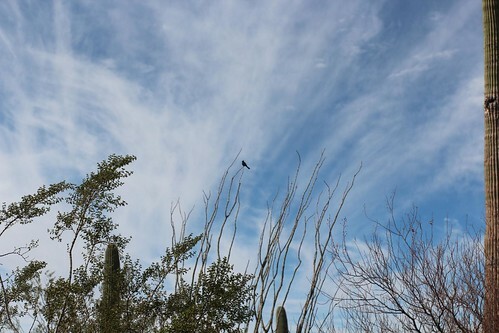 Day 197: Heading into Tucson, Arizona. 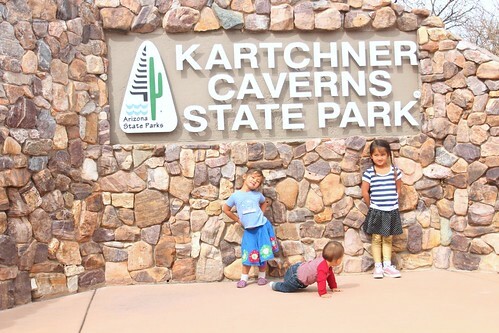 We intentionally spent the night just short of Tucson last night in the town of Benson so we can go see one of the best preserved natural caves in the world. We found a Wal-Mart in Benson that had a no RV overnight sign but the manager had no problems with us being there. It is becoming more common to have cities and counties ban RV overnight parking in Wal-Marts.